Have you ever wondered why people will stare at your hair but not compliment you? 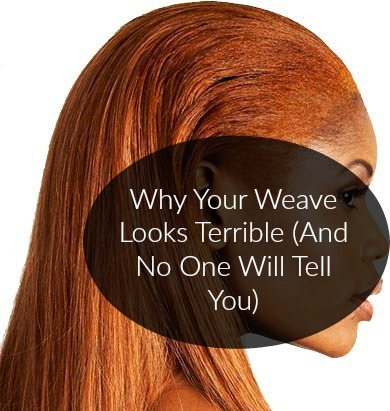 Or why your weave never seems to look quite the way you planned? Today we are going to explore how to get the best quality extensions out there because no one is going to tell you that your weave looks terrible. They do not want to hurt your feelings! More and more women are wearing hair extensions these days. There was a time when it was seen as a negative thing if you wore anything but your real hair but times have surely changed! Nowadays some people feel like it is perfectly acceptable to walk right up to you and ask what kind of hair you have in your head, without even being sure that you actually have extensions! I have people ask me all the time if I am wearing my real hair or not, which is actually a compliment in my opinion because they are saying that your hair looks so good that you must have extensions. I have had clients who swore they would never wear weave now getting their second and third sew in! The truth is that extensions can be a great thing. They allow you to try all kinds of different hairstyles that you either do not have enough hair to try or that you do not want to commit to. They allow you to play with color and experiment with different textures. And they can also aid in helping your hair to grow. 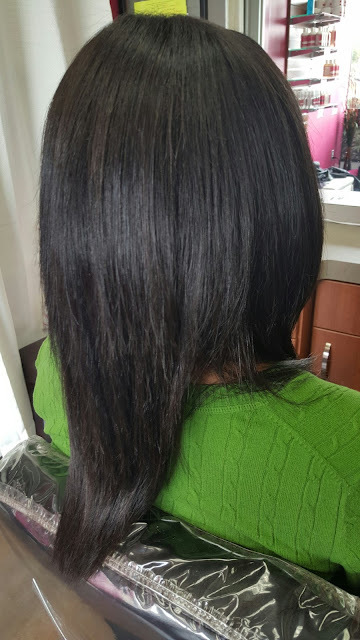 I've had clients who get sew-ins for an entire year and see significant growth in their hair once removed. Now that hair extensions are so popular it seems as though everyone and their mother is selling hair. People that do not even do hair or have any connection to the hair industry are even selling hair! That is one of the reasons that I decided to get L. Jones Hair Collection, so that I could have a line that I trust to sell to my clients and to wear myself. My clients never have to question if their hair extensions are going to be good or not because they know that they are coming from me. 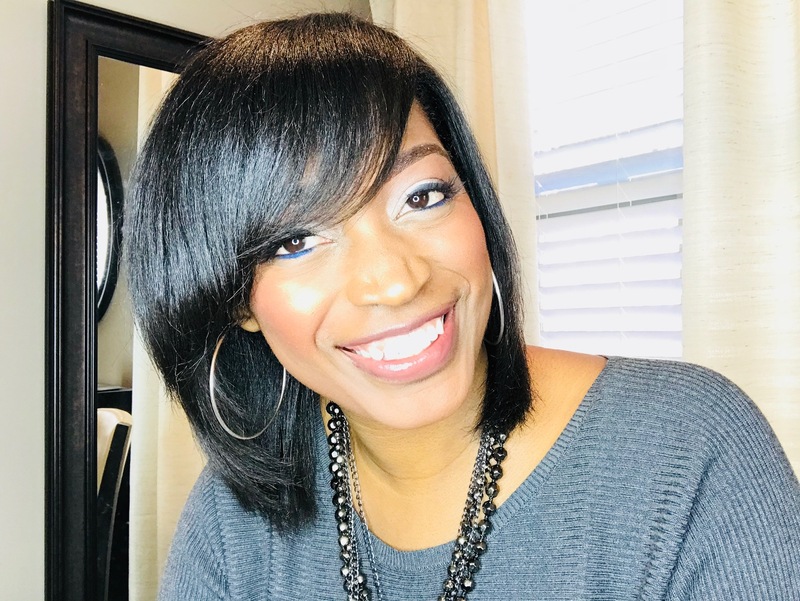 With so many choices available, and with many of my clients being first time extension wearers, I did not want them to be overwhelmed with who they should or should not get their hair from. As a matter of fact, when I do sew-ins, I do not do them if the hair did not come from L. Jones Hair Collection. That way I know that I will not have any surprises when it comes to the hair. I get my hair directly from my manufacturer who I trust and has not let me down. What it all comes down to is that women want great hair when choosing their extensions. 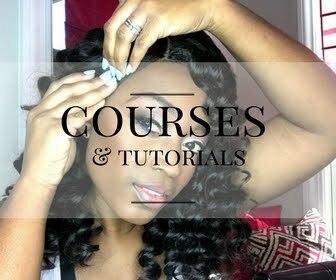 So how do you know how to choose the best hair extensions aka weave? A lot of the time you will not know how the hair is going to do until you actually get it and try it but 99% of the time once you open the package the hair is non-returnable and non-refundable. And nobody wants to be that person who has the terrible weave, and nobody is going to tell you because they do not want to hurt your feelings! 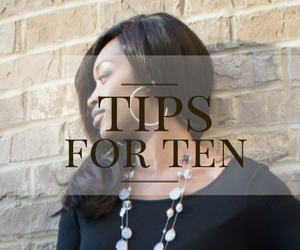 Here are a few tips to look for when trying to choose the best hair extensions. Is it virgin hair? 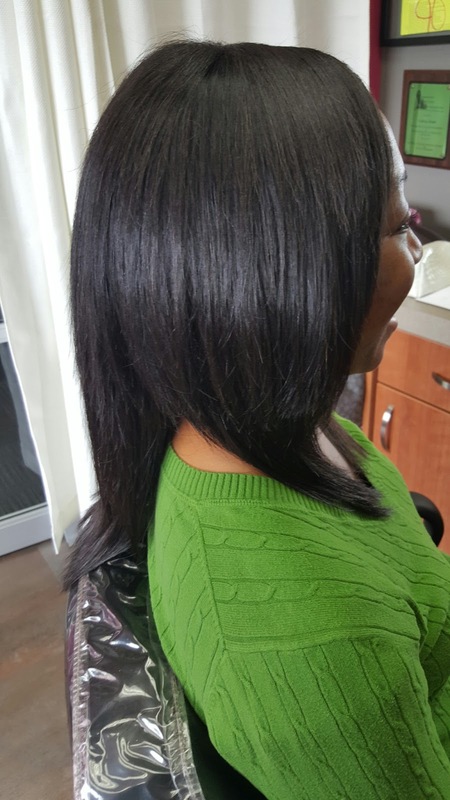 Virgin hair simply means that it has never been chemically processed. So it has never been colored, never been relaxed, and never been permanently waved. Virgin hair is so popular because you can customize it to what you want so easily. If you go into a beauty supply store and see hair in all kinds of colors, that lets you know that it is not virgin hair. If you get some beauty supply hair that has already been colored and try to color it again, the color will not take. You are basically stuck with what you get. What grade/quality is the hair? All virgin hair is not created equal. When you see what is advertised as virgin hair for a sale price that seems too good to be true red flags should go up. 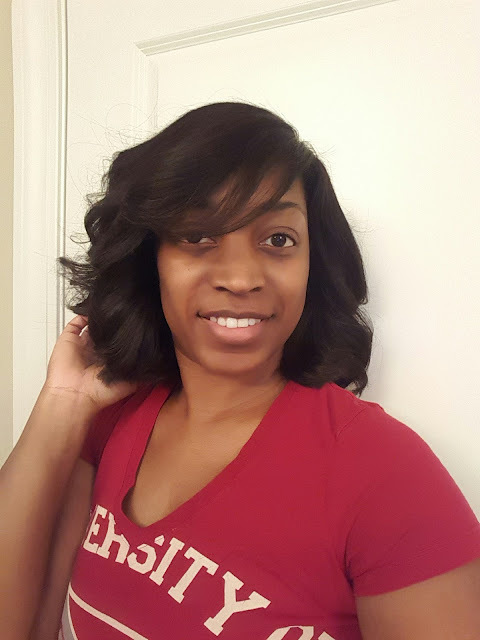 Virgin hair has different grades, ranging from 2A to 9A. 9A grade hair is the absolute best of the best because it comes from one young donor. Grade 2A hair comes from several different donors who may have not taken the best care of their hair. It's like all the left over scraps that have been put together to create one bundle of hair but since it has never been processed it can still be called "virgin". Don't be fooled. I would not recommend buying anything less than grade 6A. If you ever see a buy one get one free sale and the hair is $25 per bundle, run! Can the hair be reused? If you purchase some great quality hair, you should be able to reuse it for at least one year if you use great products (like Silk Hydration by L. Jones) on it and take care of it. Hair bought out of the beauty supply store majority of the time can not be reused, so you have to buy new hair every time. Premium quality hair costs more up front but is cheaper in the long run because it lasts so long. Can the hair be colored? Again, if the hair can not be colored, it is not virgin hair. Virgin hair can be colored more than once unlike beauty supply hair that stays the color you bought it. Can it be curled? I will never forget one time I bought some hair from the beauty supply store. The hair was straight hair and it cost like $7 a pack! I tried to curl that hair and the hair was not having it. It would not do anything but be straight! 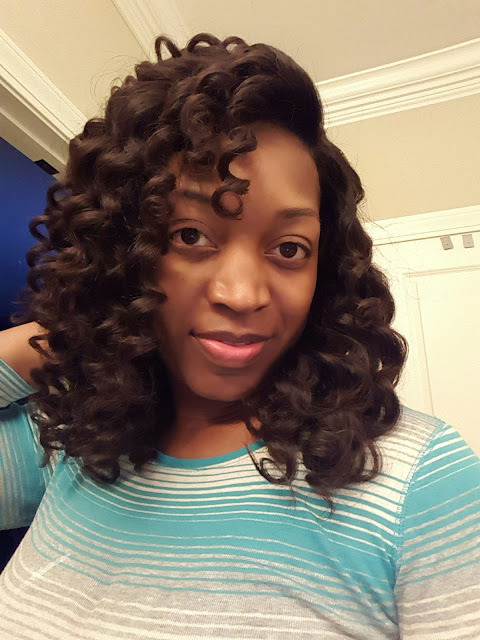 Great virgin hair can be curled, straightened, waved, and anything else with no problems. Once I got L. Jones Hair Collection I fell in love with the versatility of the hair. You can do so much to it and not damage the hair. 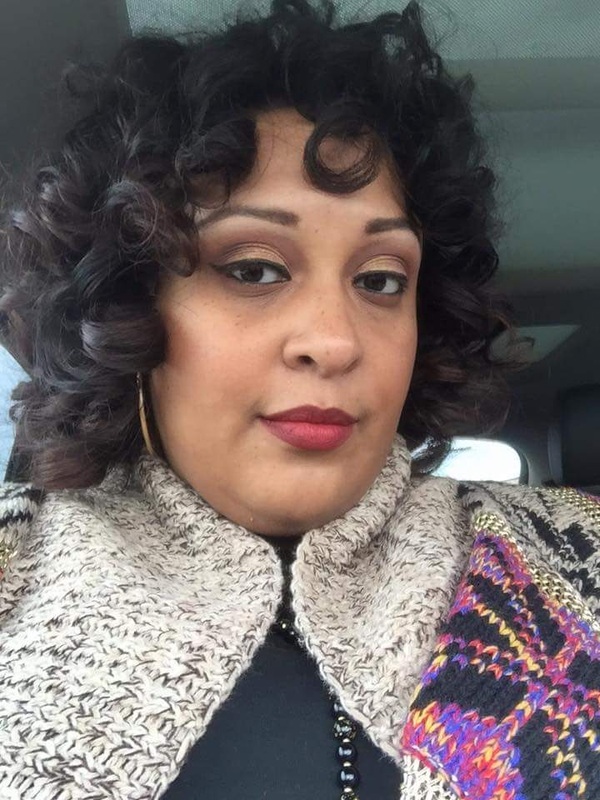 Many times people will thing you got new hair when all you did is curl or straighten it differently to give it a completely different look. Does it shed or tangle? I remember once I had a client who bought some hair from the beauty supply store and let someone that she knew give her a sew-in. A few weeks later she came to me for a shampoo and style. The moment I put water on that hair it shriveled up and became like a tumbleweed. I balled up and tangled so bad that I had to actually cut it out of her head to get it out. This is not an issue with premium virgin hair. One thing I love about L. Jones Hair Collection is that you can shampoo it one thousand times and turn around and comb it out with a fine tooth comb and the comb runs right through it. your extensions should look like you grew them out of your own scalp! If your hair can do all of the things mentioned above then you have some great hair! 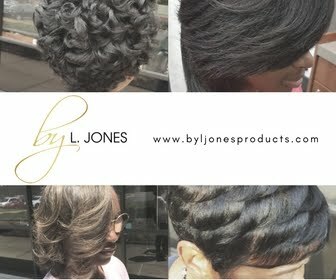 Of course you can't go wrong with L. Jones Hair Collection I am not the only company with great hair. My goal here is to steer you clear from the terrible hair! Because nobody wants to be the one with terrible looking weave!